Cleaning a house after flooding is both a serious and a very important job. Strenuous cleaning can prevent subsequent damage to property, reduce the likelihood of future damage, and prevent over-aging of the building. Caution: Before you start the water damage repair, open all the doors and windows of the house to take the excess moisture out as quickly as possible. Make sure there is good ventilation. Put on protective gloves and waterproof clothing, if you have one. Clean with non-abrasive towels, rags and brushes. Rinse thoroughly. Clean all walls against mold. Replace the overhead windows. This will ensure the thermal insulation of the house. If there are windows that can not be opened due to mold or mud, you need to move them and clean them thoroughly. Try opening them gently by pressing on the inside of the corners of the moving window wings. Do not push too hard. If you can not move them simply by pressing, try lifting them lightly, and then press. If you can not open the door of any of the rooms, do not push them too hard. There may be deposits on the inside. If possible, try to enter through the window or through a neighboring room. Before trying to open the doors, make sure they are not locked. Wallpapers that have absorbed much water should be removed. If there is mold on the wallpaper, you can remove it with talc containing detergent or other specialized detergent. After cleaning and after drying the wallpaper you need to go again, this time with a dry cloth. If the carpets are dirty, you can throw them away. Strong contaminations are usually associated with many bacteria. Wrap them in nylon and throw them in a suitable place. If the carpets are small in size, you can take them for professional cleaning. Remove all carpets or area rugs from the wooden floors to allow them to dry completely. If water is still collected, immediately remove it with a mop or rag. Small distortions can be removed by grinding. If damage to your wooden floor is too serious, you may have to remove it and put a new one. As you can see bringing your home back to decent condition after it has been flooded, is a serious time-taking process. If you go to work and don’t have time for this, you’d better contact a trustworthy company that offers water damage repair in San Francisco Bay Area. Even if you have enough time to take care of your home by yourself, you will see you need proper equipment and cleaning preparation. 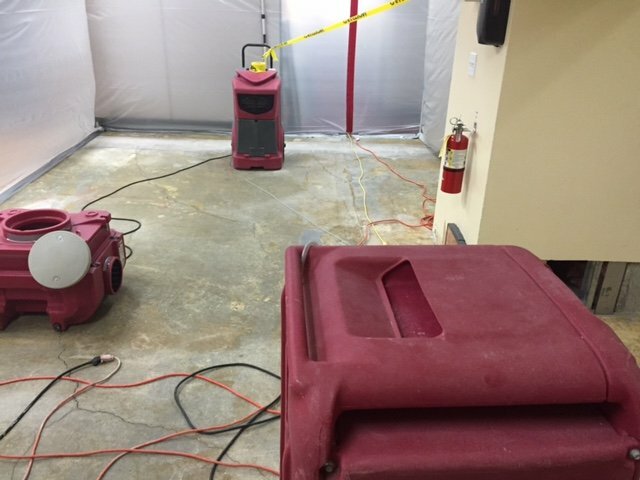 There is no way a single person to handle the water damage restoration process on his own. Basically, water is the most destructive factor that can ruin your home. Excess moisture can cause mold, mildew and structural problems with your property. The problem deepens when you haven’t taken care for the flood immediately and you haven’t contacted water damage company on time. GCD Restoration is the company that has proved its dedication to clients in San Francisco Bay Area over the years. It can provide you with the emergency help you need in the first 24-48 hours after the flooding. GCD Restoration has 24/7 phone support center, that will take your call. Even if damages from the flooding look severe, with our professionally trained staff, your home will be completely restored! The first thing our specialists will do, when they come to your place, is an inspection of the flooded property. They will determine whether the property can be restored, depending on 3 major criteria – how damage your property is, degree of contamination and restoration costs. Sometimes it is too pricey to get your property repaired and you just have to give up from it. Even if the flood has not affected the entire property, you should call a company to provide water damage restoration as quickly as possible. Mold’s growth is a serious concern because it can cause allergies or asthma, and even more dangerous health problems. To prevent mold’s appearance and growing, contact GCD Restoration immediately when the crisis situation happens. If you have carpeted flooring at your home, you need to take of it immediately. The best way to do this is by calling water damage repair company that has experience in coping with that problem. Water will ruin your carpets unless you react immediately! With the proper equipment GCD Restoration has the carpet will be completely dry in less than 12 hours. Normally, hardwood flooring dries for 7-10 days. You should not place the carpets on the floor if they are still wet. If you hurry to return them to their place while they are damp, you will notice that mold will appear at the bottom side of the carpet.